Zipline Tours in majestic locations! 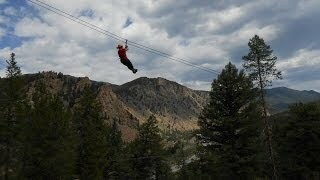 Mountaintop Zipline Tour at our Buena Vista outpost: + 2 new elements this year! 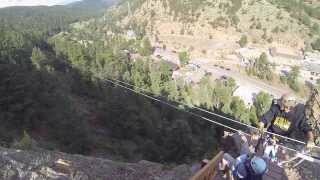 Cliffside Zipline Tour in Idaho Springs: + 5 new elements this year! Are you the type of person who is bored of the same old activities? Looking to try something new and exciting? 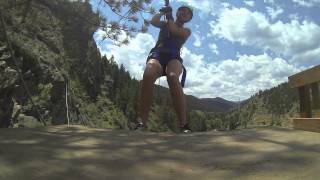 Experience ziplining in the Rocky Mountains of Colorado. 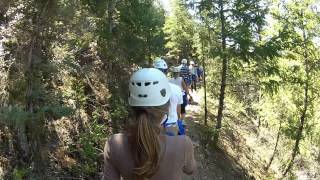 Ziplining is an incredible adventure for the whole family. You’ll find yourself high in the air zipping swiftly through the trees amid breathtaking views. Colorado is home to some of the most beautiful mountains and vistas in the country. 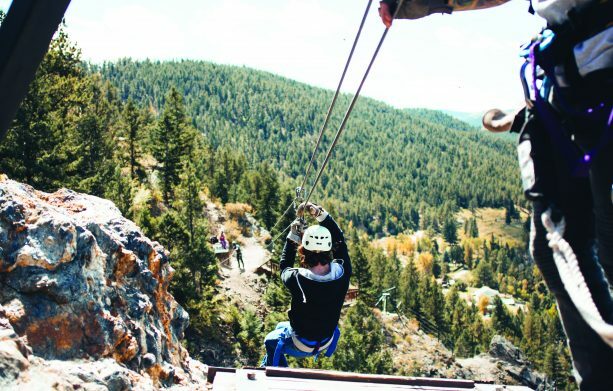 Ziplining through the amazing Colorado landscape is the perfect way to experience the outdoors in Colorado. 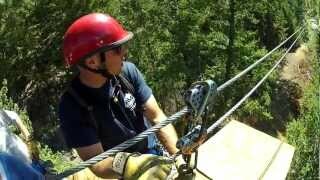 Ziplining trips are generally 2 1/2 to 3 1/2 hours long and can be combined with a number of AVA’s rafting trips. Imagine rafting down the river all day then finishing up on our Zipline canopy course. These two activities together make for an excellent day in the Rocky Mountain outdoors. 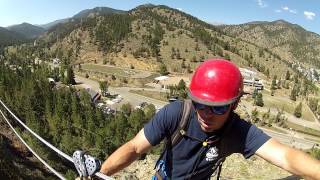 We have two different Zipline courses in Colorado. 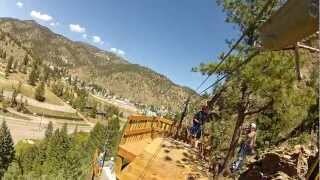 One is located in Idaho Springs and can be coupled with rafting trips on Clear Creek. The other course is located at our Buena Vista, Colorado location and trips can be joined with rafting trips on the Arkansas River. See all of our packages. 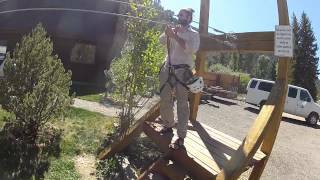 Visitors Rated 5.0 / 5.0 based on 63 ratings for AVA Ziplining Tour. 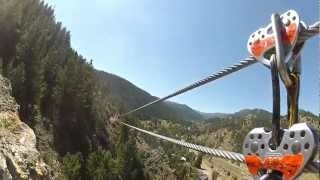 You will take in views of snowcapped peaks and the famed Arkansas River as you zip from cliff to cliff among towering pine and Aspen trees. 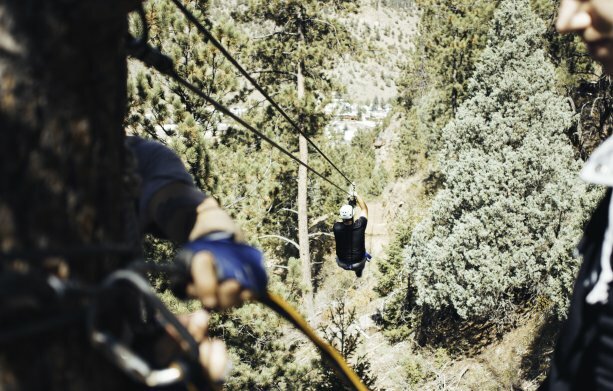 The Idaho Springs zipline course will take you through paths of beautiful cliffs and trees, finishing with an exhilarating zip over Chicago Creek for a photo finish!